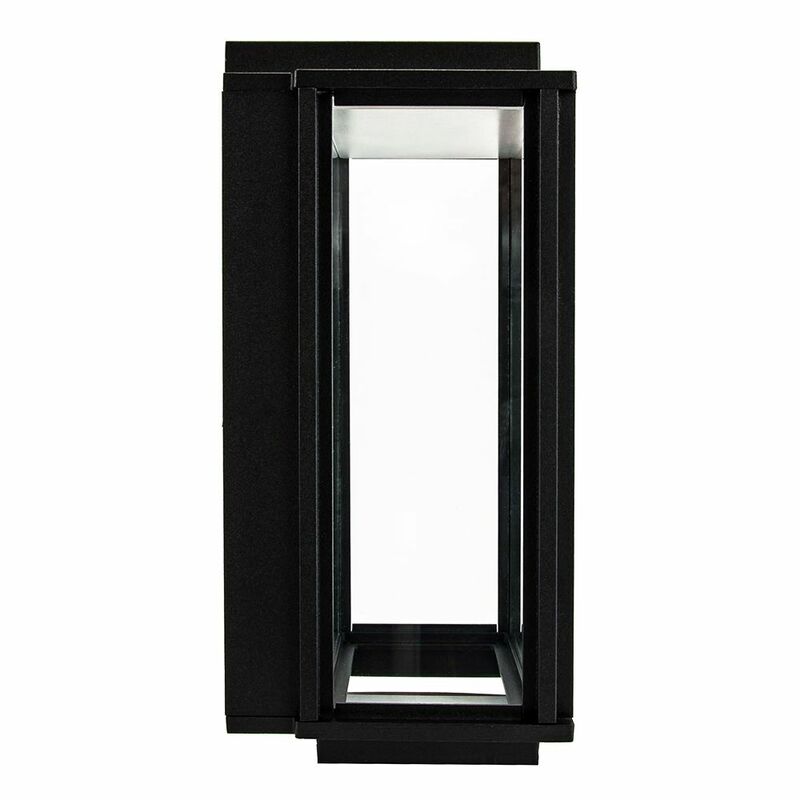 Contemporary and unique outdoor LED wall light fitting with matt black die-cast aluminium frame. 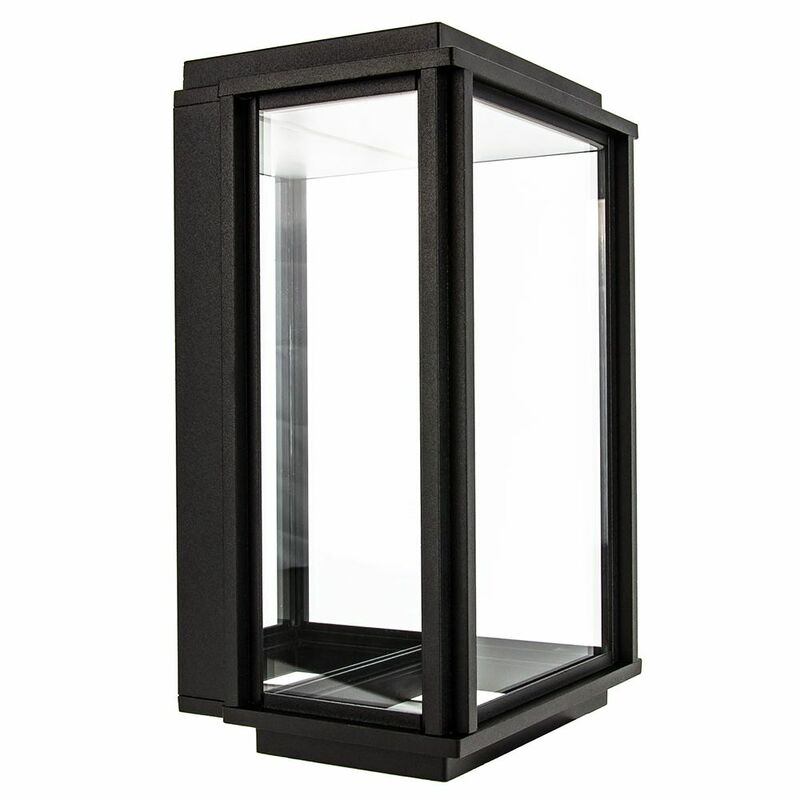 Features transparent bevelled glass sides. The fitting must be fitted vertically as pictured. Product measurements: Height: 25cm, Length: 16cm, Projection: 12cm. Features mirrored backplate giving an eye-catching effect. Includes integrated 7watt SMD LED 4000k giving approximately 50watts of incandescent light.